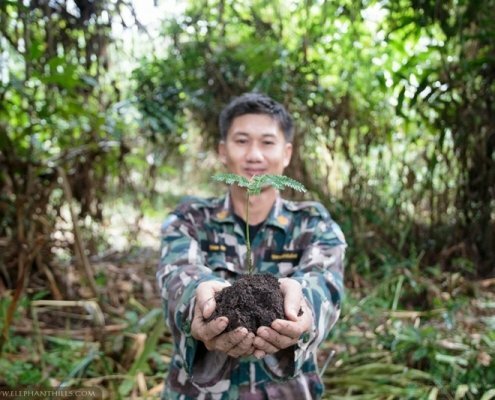 We are very excited to announce that our tree-planting project has progressed as planned and we have now offset emissions of all our marketing flights in 2017, and a great deal of 2018 flights too! 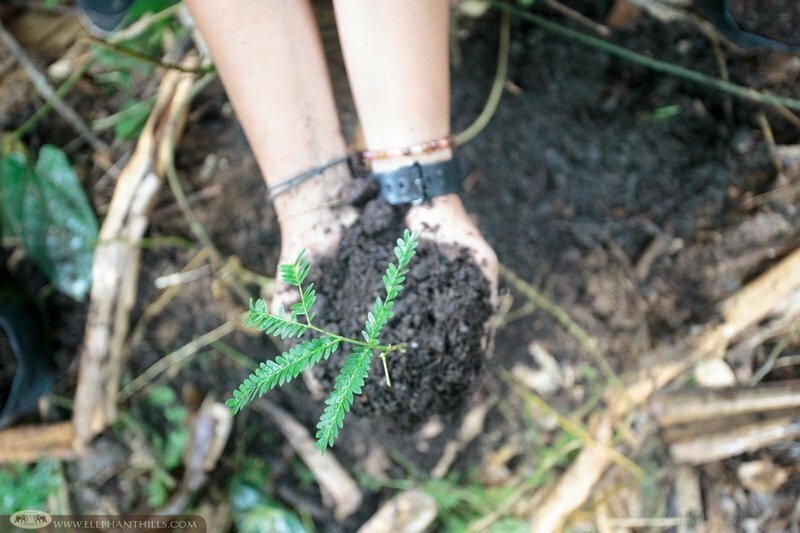 Whereas we truly value and appreciate our relationship with our partners world-wide, we also want to do our best to reduce the impact to the environment when sending our team overseas. 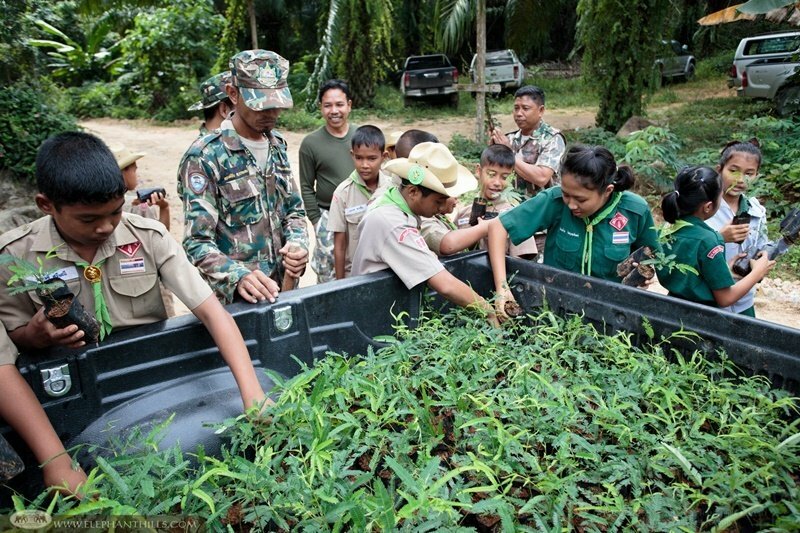 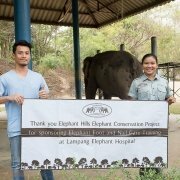 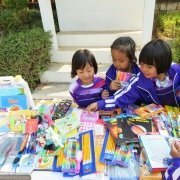 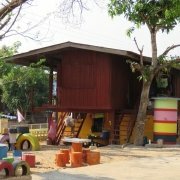 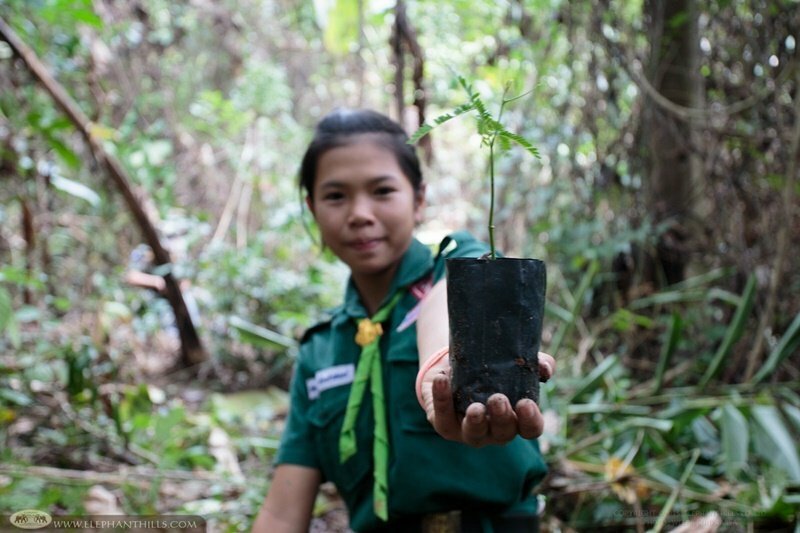 This fantastic initiative was organized in co-operation with Kaeng Krung National Park, sponsored by Elephant Hills. 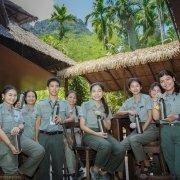 Kaeng Krung National Park neighbors Khao Sok National Park and is located approximately 70km North-East from Cheow Larn Lake. 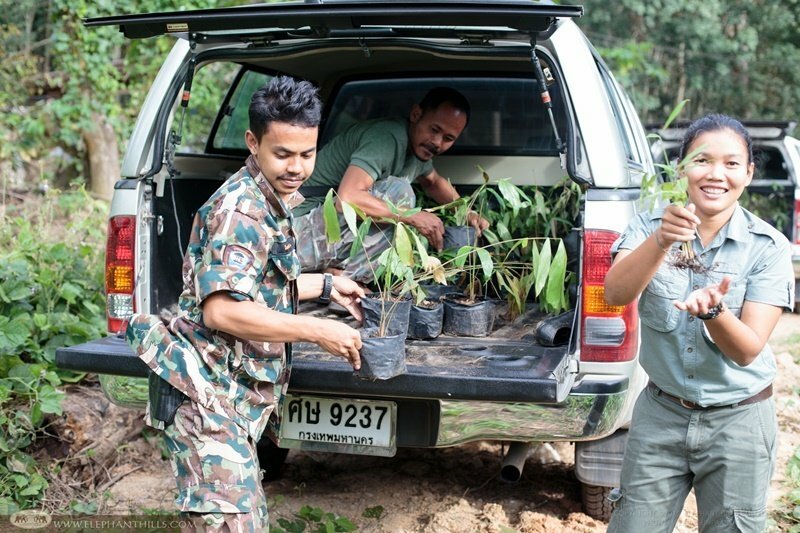 As well as the tree-planting site, the tree species were carefully selected together with the officers and the head of National Park. 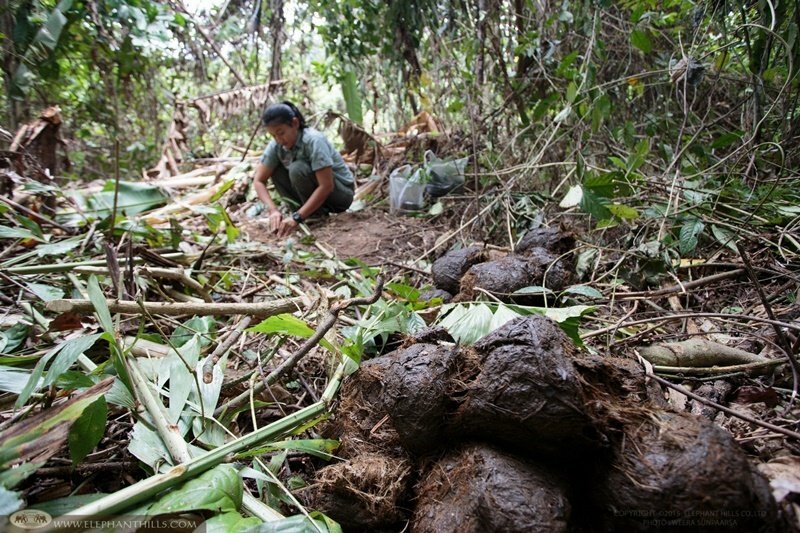 We wanted to make sure that they are appropriate for the area, good for CO2 offsetting and for their other purpose; helping to reduce human-elephant conflict by providing food for wild elephants. 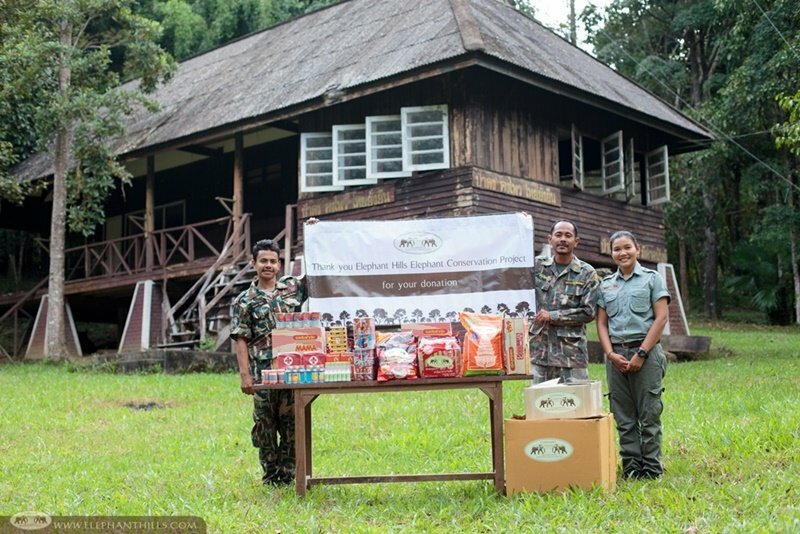 As a part of our Elephant Conservation Project, we have visited several areas in Thailand affected by human-elephant conflict, and also this time donated canned food and medical supplies to support the rangers’ patrol treks. 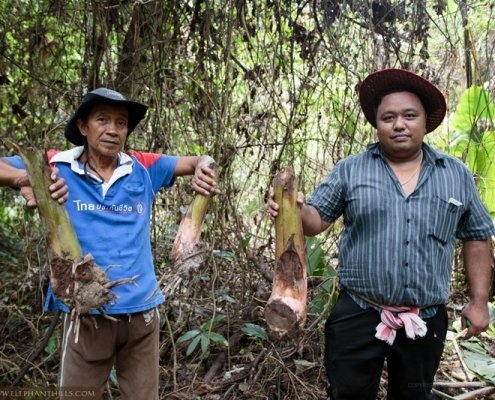 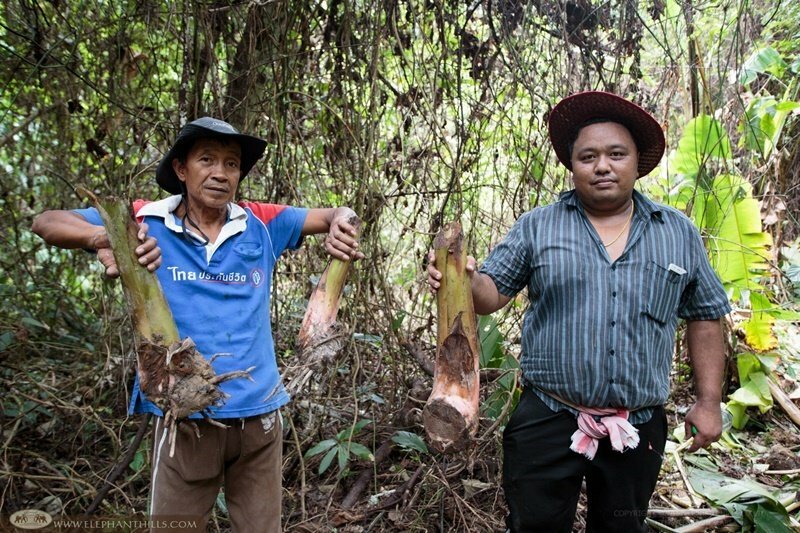 In the village close to Tab Saming ranger station there are six wild elephants, all of which are male, occasionally wandering off the forests into local people’s plantations. 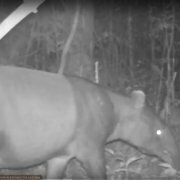 The elephants have made their way as far as to a local school, which is located two kilometers from the National Park border. 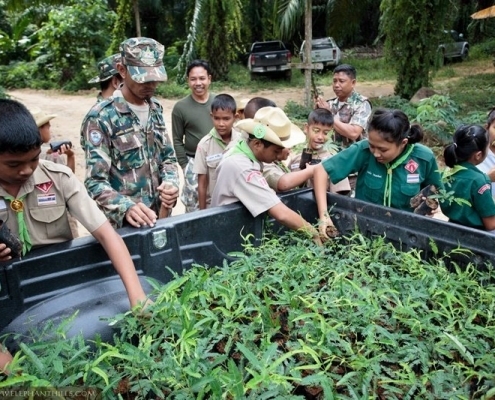 The situation had raised concerns within the local community and authorities, and on the day of the tree-planting we received enormous help from the locals. 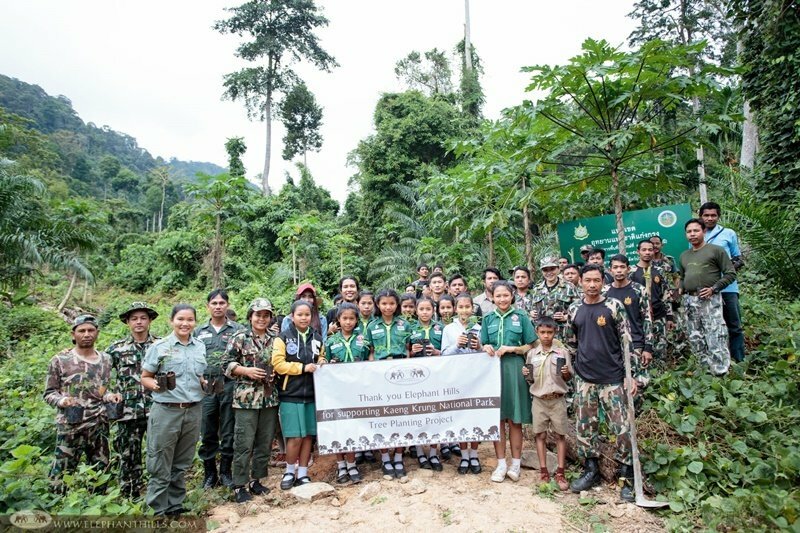 With the amazing efforts of 30 National Park officers, 30 students and farmers and our Elephant Hills team we planted 2,500 trees, and additional 500 seedlings were left with the rangers for re-planting where needed. 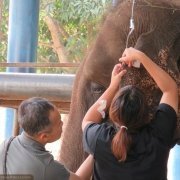 The goal of this project – along with offsetting flight emissions – is to eventually provide enough food for the elephants right at the National Park border, making it unnecessary for them to leave the forest. 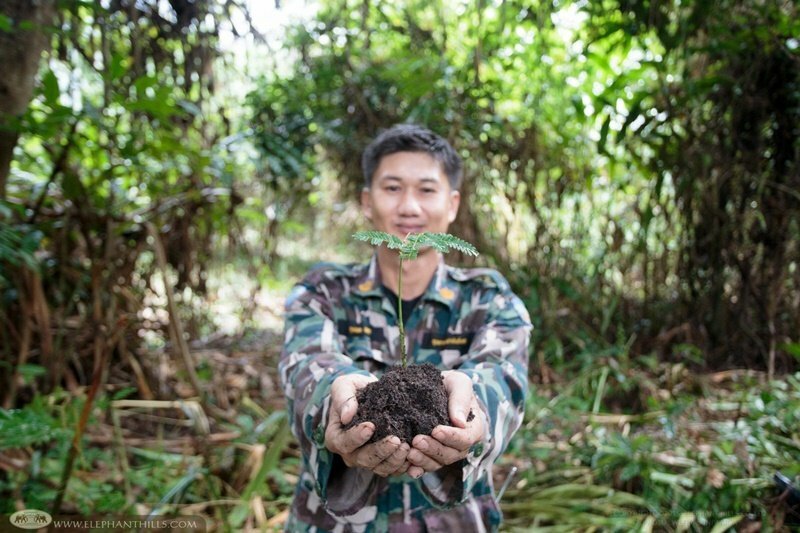 We look forward to continue planting more trees in the future, and of course will keep you posted on the progress and results of this project! 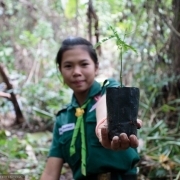 Sources used for calculating amount of CO2 produced and number of trees required to offset: International Civil Aviation Organization’s carbon calculator & United Nations Environment Programme.